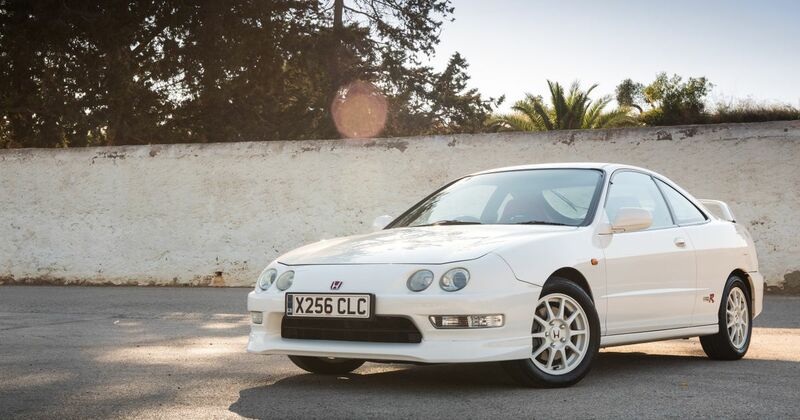 Does The DC2 Honda Integra Type R Deserve Its Heroic Reputation? A blip of the throttle using the beautifully-spaced pedals, and I’m into second. I’m back on the power perhaps a little sooner than I should be in this tight right-hander. But that’s all good because the mechanical differential on this Honda Integra does a remarkably good job of distributing power to ensure I’m hurled out of the bend as quickly as possible and without even the faintest whiff of understeer. The needle of the rev counter sweeps up to the 8000rpm peak power mark, but it’s just before 6000rpm that proceedings take a particularly interesting turn. It’s like someone’s flicked a switch and the whole character of the engine has changed. Suddenly, a brawny inline-four howl resonates through the cabin, making me swear I’m in a racing car. The 1.8-litre ‘B18C’ engine has come on cam, better known as the point at which VTEC doth kicketh in. Noise aside though, what happens after this point isn’t all that dramatic. I’m not violently shoved back in my seat with the kind of acceleration that’d see me steam past a VW Jetta sans brake calipers, driven by a nervous-looking man wearing a hat. And yes, I realise I’m not in quite the right Honda for that reference to fully work. 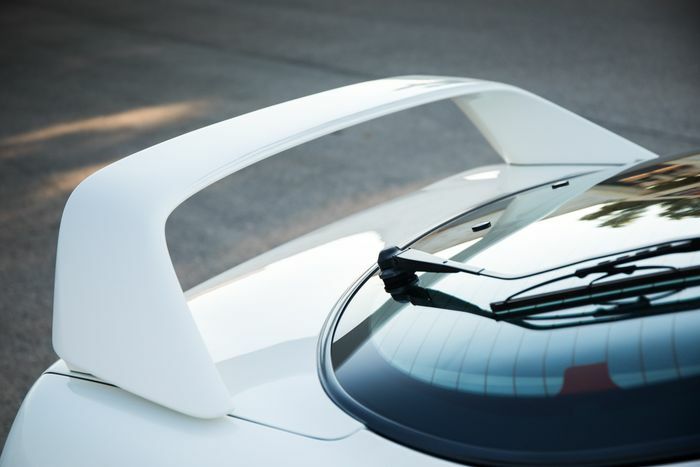 What does happen though is a slight but noticeable uplift in performance, as you edge closer to the point where the engine’s 188bhp output is fully felt. It may not be shockingly fast, but it’s certainly quick, hitting 0-62mph in 6.7 seconds according to the official figures. A healthy time for a car which isn’t hugely powerful, and that’s down to the weight figure: the Type R tips the scales at a pithy 1125kg. As such, it just begs to be chucked around, with an incredibly pointy front end that’s happy to oblige every command you input through the steering. Which, by the way, relays absolutely everything - from the road surface to grip levels - through to your fingers. There’s a very slight dead spot around the straight ahead, but that may be down to the age of some of the suspension components. Regardless, it’s a very small blot on a near-perfect report card when it comes to the driving controls. The gear change is short and accurate yet needing a little care to get those shifts right, while the pedals are all wonderfully weighted and - I’ll happily point out again - spaced just right to make heel-and-toe disarmingly easy. The way the front end clings on and the general impeccability of the chassis setup makes the Integra feel like a properly sorted, modern hot hatch. It’s just instead of being powered by a turbocharged engine that sounds like a hoover, its thrust comes from a screaming N/A inline-four. Oh, and it’s 20 years old. 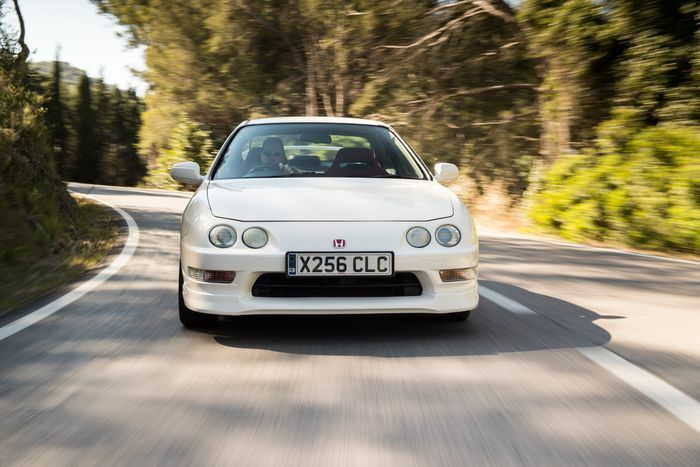 "Against all odds, the values of these incredible cars haven't yet exploded"
That’s why there’s no doubt in my mind that the DC2 Integra Type R deserves its heroic reputation, and then some, because it was massively ahead of its time. In terms of capability and entertainment, the majority of front-wheel drive performance cars didn’t catch up until quite recently, and most still can’t match the driving purity on offer here. Nor do any look quite so awesome - the fussy FK8 Civic Type R could learn a lot from the DC2’s subtle yet unmistakably serious aesthetic. Against all odds, the values of these incredible cars haven’t yet exploded. The market bottomed out around the £5000 mark a few years ago before steadily rising, but you’ll still only need to pay £10,000 for decent one. Catch it while you can.